I've had a love affair with trench coats for years now. There's just something about them... their symbol of spring, the dramatic way they take on a light breeze, or their feminine chic look. Overall, they're just dreamy! 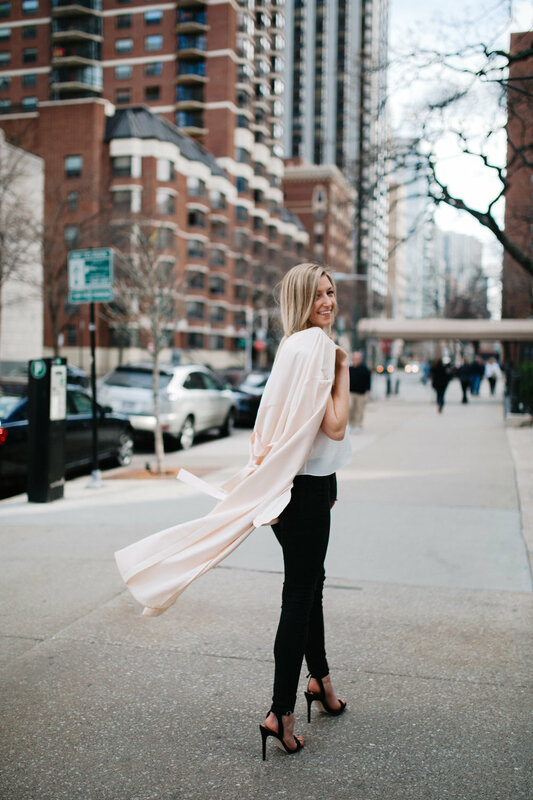 This blush trench with bell sleeves was my first spring purchase and I'm so excited to share it with you all. I love the long duster length trench coats and with the collar and sleeve detail on this little number, I just couldn't help myself. The best part is the price though! Most items that make it to my cart stay for a few days while I weigh my options, but with a price tag of $34 I knew this was the one! I also want to share these classic strappy heels. Surprisingly comfortable and the design of the heel is super flattering. One of those staple items that every closet needs. THANKS FOR READING AND HAVE A LOVELY WEEK!